Note: Due to assembly and test requirements, this item as an additional 3 business day processing time. Every Upper Build is Test Fired Before Shipment To Guarantee Performance. We do not guarantee cycling with all ammunition due to vast differences in the quality of ammunition. Impress your fellow shooting friends with this matched Red 5.56/.223 Free Float Handguard Complete Upper with Bolt Carrier Group. Hot rod red anodized color is sure to amaze your friends! Free floating design helps with accuracy. This is a single piece, with no barrel cap. 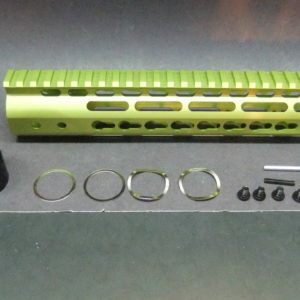 Key mod design allows for rail or keymod accessories to be placed at the 3/6/9 o-clock positions. Great for attaching hand stops, handguards, picatinny rails or light switch panels! Comes with timing shims for that precise fit. Fits on any standard 5.56 / .223 lower receiver (pins not included). 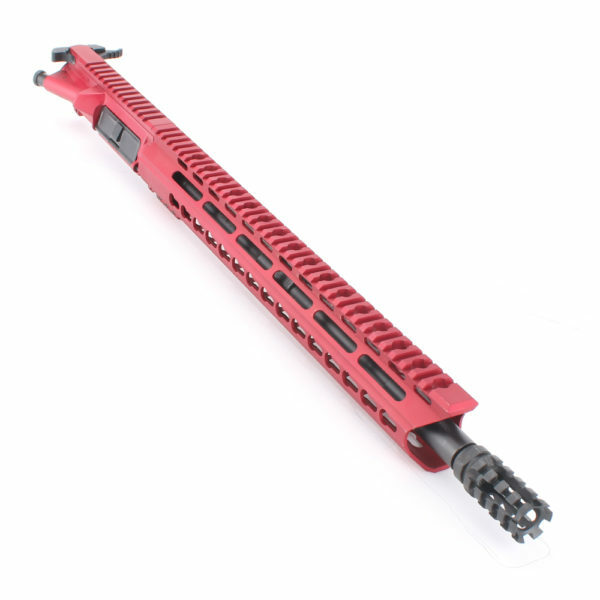 ♦ Flat top Upper Receiver (RED) - Made in U.S.A.
High quality, lightweight Stripped Upper Receiver made of 7075-T6 Forged Aluminum. Made in the U.S.
Each of our Mil-Spec Bolt Carrier Group Assemblies is made in the U.S.A. and feature full-auto capability, a shot peened MPI Bolt, 8620 Gas Carrier and Gas Key fastened with hardened Grade 8 fasteners. The ultra-hard and corrosion-resistant Black Nitride ensures this BCG’s continued reliability and precision. 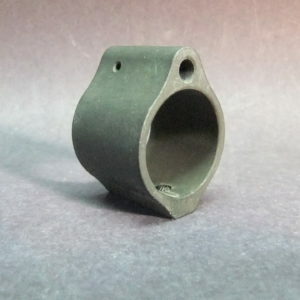 Micro Gas Block. Designed with the minimum profile to fit under nearly any rail system, it snugly fits standard .750 diameter barrels. Our Pineapple Muzzle Brake with 6 slots and solid bottom is designed in the standard A2 style with 1/2″x28 thread pitch. It’s constructed of solid 4150 steel and has a high quality Black Phosphate finish. Crush Washer is included. Our AR-15 rifle barrels are manufactured under the ISO-9002 Quality Systems and go through a rigorous inspection process to ensure the highest quality. Inspection equipment includes CMMs and air gauges for the bores. 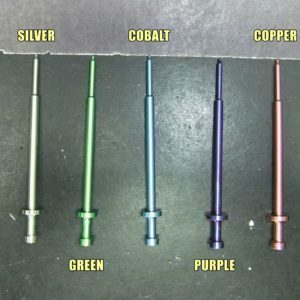 Each barrel is made in the U.S.A. to precise specifications and designed to hold a 1.000″ MOA at 100 yards with appropriate ammo and shooting techniques. 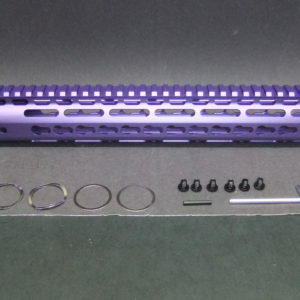 Mil-Spec AR-15 Forward Assist Kit comes complete and ready to install with all black finished components. Ejection Port Cover Assembly in black.